Successfully Added Red LED Name Badge - No Pin Design to your Shopping Cart. 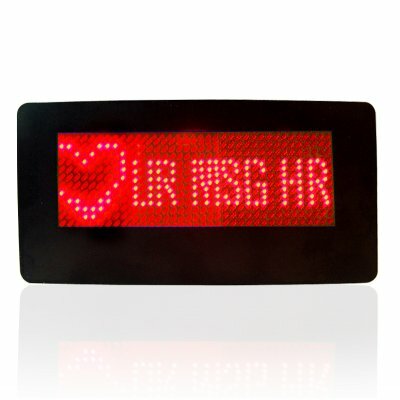 LED name badge with red LED lights for making names, messages, or even graphics, and with a magnet back design for easy and safe wearing without sticking pin holes in your good shirt or suit jacket. This LED nametag is an interesting way for people to get to know one another in this digital age. Businesses can find them especially useful when they are at conventions or in meetings, with the convenience of up to 5 different text messages in 5 different language scripts. This wholesale item also comes with a CD with the easy to use program that is all you will need..